We at Paramount Roofing are so confident of the quality of our roofing installations we provide our clients with a FREE, 100%, Non-prorated Materials and Workmanship Warranty for Life! For as long as you own your home, we will stand behind our work! In addition we will provide FREE Roof Inspections and FREE Repairs to your roof for Life! Once every 5 years or if you call us with a concern, we will inspect your roof and repair or replace any defective roofing materials or roof damage due to workmanship without cost to you, for as long as you own your home! Please call or e-mail us for a written copy of this amazing warranty and to get all the details. 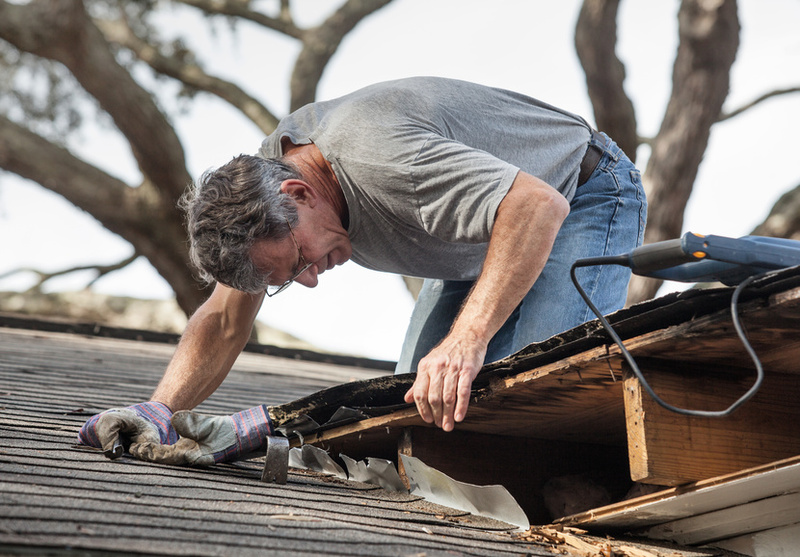 If you have other damage to your roof due to natural causes such as wind, hail, fire, tree branches, etc, we will work with your insurance company to repair or replace the damaged areas with little or no cost to you. Take a look at our Roofing & Siding Service Area. If you have any questions, be sure to contact us. Call Us Today for Details or to get a FREE, No Obligation Consultation and Quote! We will assist you to be informed of your roofing choices so you can make an educated decision. Read our reviews! Our clients love the work we have done for them! Angie's List A Rating & Super Service Award 2013 & 2014! 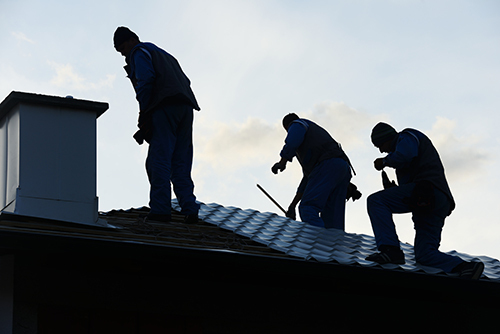 Our crews are highly experience roofing professionals. We have had the same roofing crews for years. 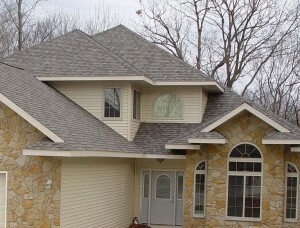 You can count on a professional quality roofing installation. Ice & Water Shield is standard on all of our roofs, protecting you from Wisconsin winters. When we leave your property it will be free of roofing debris. We clean-up at the end of every work day. We sweep with magnets to pick up nails that could otherwise damage your vehicle or injury your children. We protect your home and landscaping with tarps and plywood. Your gutters are cleaned out before we leave your home. Our crews will not smoke on your property. Our crew members have been instructed that when they need to use the bathroom they are to leave the premises and go to the nearest gas station. Our crews will not ask to enter your home or use your bushes as a toilet. Our crew members will all wear shirts while on your property. Our crews will not play load music on your property. Our personnel have worked with us for years and are trusted crew members. Over 25 years of local construction experience! Ventilation Experts, extremely important to the life of your roof as well as air quality and cooling cost of your home. Extensive experience with roof tear-offs, re-decks, steep roofs, chimney flashings, skylights, ice dam and roof snow removal. Roof Leak detection and repair. Roof and Siding Hail Damage. We will inspect your roof for hail damage with no cost or obligation to you. We have extensive experience representing our clients in negotiations with their insurance companies and providing the necessary repairs. Large crews are provided to get your roof done on a timely basis. Most residential roofs are completed in one day including tear-off and re-roof. Paramount Roofing is fully insured with both liability and Workers Compensation Insurance to protect you, the homeowner. By using dump trailers the mess leaves your home when we do instead of sitting in your driveway for days. Your roof will be completed before we move on to another project. We do not leave you hanging. LIFETIME WARRANTY PROTECTION on our asphalt roof installation for your peace of mind. We are a local roofing company serving Madison WI and surrounding areas! The owner of our company has lived in the Madison, WI for more than 50 years. What other company will guarantee you that you never have to re-roof and what other company will inspect and repair your roof for life, for FREE? This was my first time using Paramount Roofing & Siding and they did a terrific job. The crew replaced the roof on our garage and were courteous, professional, and hardworking all throughout. They finished the work on time, as promised and worked very efficiently together. They cleaned up almost everything and I’m very pleased with the final results. I’d recommend them.